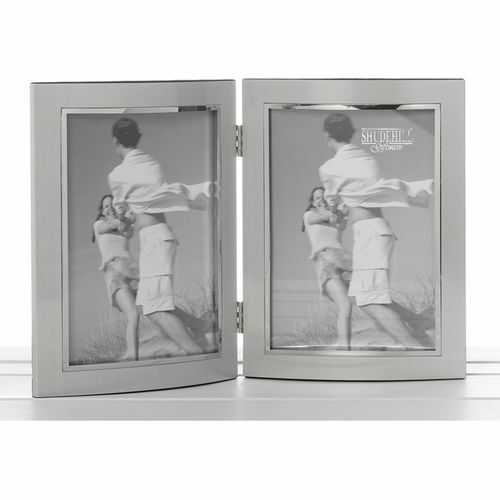 Silver Double Photo Frame 5x7"
A beautiful 2 toned silver double photo frame. The frame can be free standing or can be hung on a wall. The frame has a lovely curved feature, and is 2 tone. The frame is a satin silver finish with a shiny silver finish surrounding the photo. Holds 2x 5" x 7" photos.